This next New Moon on November 18, 2017 @ 5:42 am CST occurs very near to the point when the Sun’s transit of Scorpio is almost done for another year. Days after this New Moon and almost still within its orb, the Sun shifts into Sagittarius to lead us into renewal, search and aspiration. So the seeds sewn at this lunation will be nurtured into fullness under the rays of a fiery Sag Sun. Watch! The magical power of this New Moon will rapidly morph into a strong sprout within our souls—if we give it permission to do so. So, let’s really give some thought to things that we could easily address under the laser light of this Scorpio New Moon. Let’s explore just a few. Who are we as a group of souls traveling together on this plane of existence? What are we willing to do to accomplish all that we imagine? Do we walk in peace? Do we seek to find a place of unity of purpose? Lots of questions. Too few answers that make any sense. However, this New Moon says the following, for a start. Seek your own inner wisdom, your own inner truth and then follow the bread crumbs to the conclusion. Explore fresh ways of communicating. Clearly, the old ways do not appear to be working. What is the new language? What are the ‘good words’ that will work? Mercury in fearless Sagittarius encourages us to explore every avenue until we find the one that takes us out of this maze of chaos. The Venus/Jupiter conjunction in Scorpio encourages us to be fierce in our adherence to right principle. The only compromise is the compromise of forgiveness, of love. Let us all truly listen with perception (Venus in Scorpio) as our opposers speak. Let us work diligently to find the point of agreement rather than the point of dissent. It does mean that all of us must be willing to concede so that the centre does, in fact, hold. In every instance, the centre dissolves because there is not sufficient presence of energy to create cohesion. Think about it. In your own life, do you struggle to find a place of agreement? Why? With this lunation squaring the transiting nodal axis, we all have the opportunity to examine and make adjustment. Really delve into your past impulses and actions and consider how you might have done things differently. And please, not with an emotion of recrimination, but rather with the aspiration to growing your ability to walk lightly through your life. Strength through acceptance and forgiveness. These are the magical impulses that will begin to heal this world. With transiting Mars in Libra squaring transiting Pluto in Capricorn, we are encouraged to be strong yet soft, like elastic rather than steel. It is the sweet nectar that draws the bee, not the sour fruit. The very real magic that is contained in Scorpio is the magic of transmutation. Phoenix, one of Scorpio’s symbols promises that re-birth is not only possible but necessary. Scorpio says, Open your hands and don’t hang on to what is passing. Only then will something new arrive to fill you up. So, let yourself be filled with the magic of renewal. Believe with ferocity that you can do something ‘good’, that something useful will emerge from any efforts put forward. Seek forgiveness. Love without reservation. Do it. There is something rather awesome in a band. How do all of these diverse elements manage to get together and stay together and produce a harmonic sound? On top of that, a military band is particularly unified both literally and ideologically. It is purposefulness and adherence to a higher cause that can provide the fuel that one needs to stick to something. If we can find that point of belief, of faith in something greater than just what we are on a mundane level, we can muster the strength, even the power to ‘do the right thing’. And this life is a battle. That’s not a bad thing to acknowledge. Let’s just make sure to clearly understand what that battle truly is. The second symbol clearly indicates that we don’t have to over-intellectualize ANYTHING. Truth is found in simplicity of action, not complexity of it. Real joy is had when we engage in the simplest of activities. The Zen master said: “Before enlightenment, chop wood, carry water. After enlightenment, chop wood, carry water.” Let’s simplify even that. “Chop wood, carry water. Period. It is in the smallest things that we can find the greatest joy, especially if we are doing it together. Welcome to the SEASON OF THE WITCH. Its Scorpio time again when the night is filled with magical force and the light of the Moon seems even more mysterious that ever. The Sun travels through the shadowy waters of Scorpio once every year from about October 23 to November 22. It varies slightly from year to year due to astronomical reasons. We usually have 2 significant Moon events during this time period, the New Moon & the Full Moon. The New Moon will always be in Scorpio since that is the day when the Sun & the Moon meet and greet with a kiss and a hug. At the Full Moon we will always find her in the sign of Taurus since that is the day when the Sun & the Moon face each other across the expanse of the heavens. 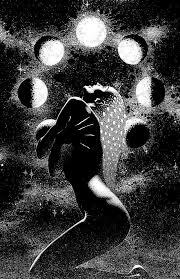 This year we kick off the Scorpio dance with a big old fat full Moon in the lovely, organic, grounded and lusty sign of Taurus. Yippee! 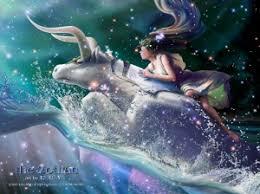 Just as Scorpio tempts us to dive into the mystery, Taurus invites us to embody it. Together these energies meld that which is just beyond the line of sight with all that fills it. Embodiment is a superlative word for the sensations that Taurus represents. We want to draw the energy of magic deep into ourselves and then externalize it in terms that are tangible, recognizable, workable and ultimately REAL. Taurus is the definition of our reality construct, how we see, feel, touch, smell and taste the world around us. So, what kind of a ritual can we construct for ourselves at this potent Full Moon in Taurus? Think earthy things. A meal with sensational tastes, enchanting aromas, enticing visual creations would fit the bill. Fruit of the vine and soft alluring music would be an obvious accessory. The ritual could involve reverence for the abundance that the earth provides along with a sharing of the wealth of the harvest. Interestingly, the Canadian thanksgiving and the American thanksgiving act as book-ends to the time period when the Moon finds her fullness in Taurus and dances provocatively at the feet of the Sun in Scorpio. This particular Full Moon asks us to examine who we are at the deepest level and how that affects the persona that we present to the world. It tells us to expand our sense of presence within the community of our choice with an open heart and a graceful stance. We can be warriors but our swords should be turned into sickles for harvest rather than vessels of destruction. We should clarify to ourselves exactly what we believe in and then stand in our truth, firmly but always with a smile, not a frown. At times it is challenging to maintain a loving heart. Anyone who is even half-awake at this point in our social evolution knows that. The world is at war. People are gathering together in more and more polarized camps. For those of us who can attempt to remain detached and ultimately objective, it is vital that we do so. Is it possible to be united yet distinct from each other? Can we all agree to disagree and yet pursue brotherhood? I don’t know if we can but I know that if we don’t, the result will be disastrous. The hand of fellowship is made stronger when it grips the hand of an enemy. As this Full Moon rises in the sky, ask yourself what you can do to heal the wound. What can you do to change the status quo? What can you do to bring comfort to those around you? What practical ‘little thing’ can you contribute that will build up and strengthen that which is being broken? We all have a role to play whether great or small. Our job is to play it. Here we have the concepts of consideration & deliberation, taking the time to review and sample before plunging headlong into any particular choice. There is a sense that it is good to take the time to peruse the landscape of all that is available rather than just sticking with the usual. An embassy is a place where diplomacy is the word! Treaties are made by people willing to compromise. Wars are fought by those who will not compromise. To make good treaties we must fully survey all that is on the table, window shop the various possibilities until we find the ones that makes the most sense to the most people and then find the most workable way to embody these possibilities so that everyone involved finds some degree of benefit. Let’s all window shop, drape ourselves in possibility and then go to that Embassy Ball and make magic!